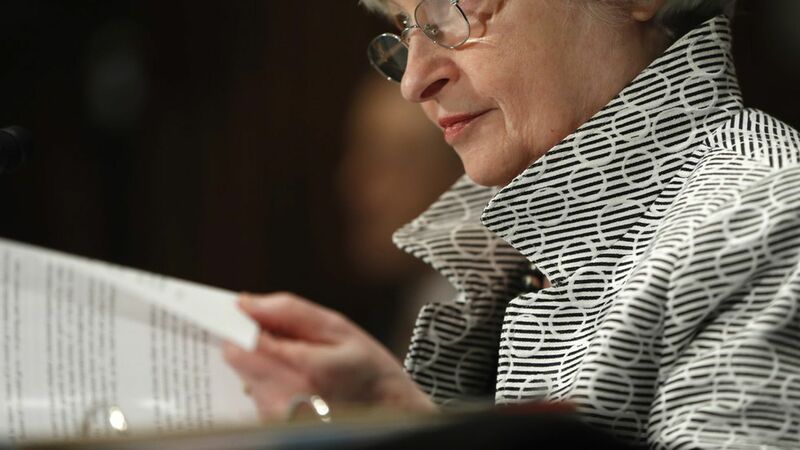 Federal Reserve Chairwoman Janet Yellen has rejected Trump's assertions that he wants to roll back the banking regulations put in place after the 2008 financial crisis, noting how they protect the economy from running up another crisis, The Washington Post reports. Quick reaction: Mark Hamrick, Bankrate.com senior economic analyst said her comments will "not largely influence ... minds in the Congress." Why it matters: This disagreement sets the most powerful banking regulator — whose term is ending soon — very much apart from Trump, and as the NYT's Binyamin Appelbaum put it, "If Janet Yellen Goes, the Fed's Current Policy Might Go With Her." This might push Trump to lean more towards his national economic council director, Gary Cohn, to fill the role, although Cohn's comments earlier Friday about Trump's Charlottesville comments are also likely to spark some tension.